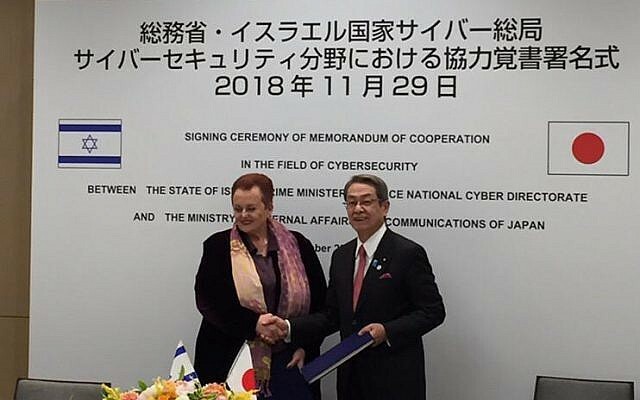 Israel and Japan have signed an accord to cooperate in research and development, information exchange, and training programs in the field of cybersecurity. The memorandum of understanding was signed in Tokyo at a cybersecurity conference by the head of Israel’s national cyber directorate Yigal Unna and Israel’s ambassador to Japan, Yaffa Ben-Ari, with Minister of the Interior and Communications of Japan (MIC) Masatoshi Ishida. The Japanese Ministry of Communications and Interior is responsible for cybersecurity in telecommunications and the internet of things (IoT), and for setting up Japan’s cybersecurity system.